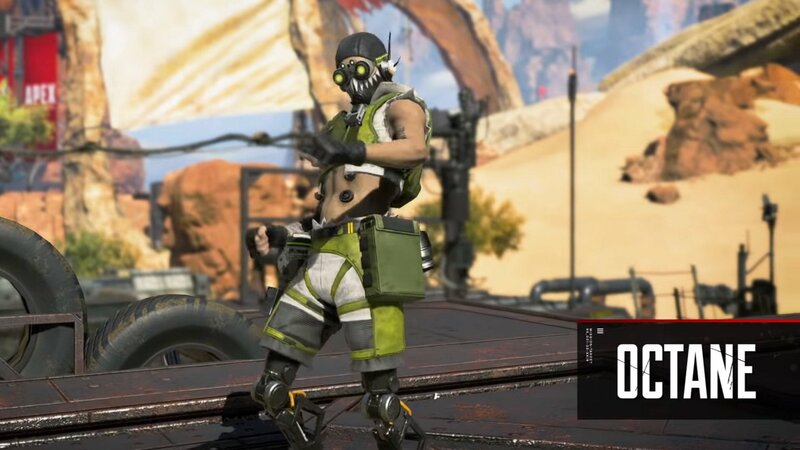 Speed fiend Octane has sprinted into Apex Legends, pushing up the roster of characters to a total of nine powerful characters. Each Legends comes with a Passive Ability, Tactical Ability and Ultimate Ability that serve to shape their playstyle. 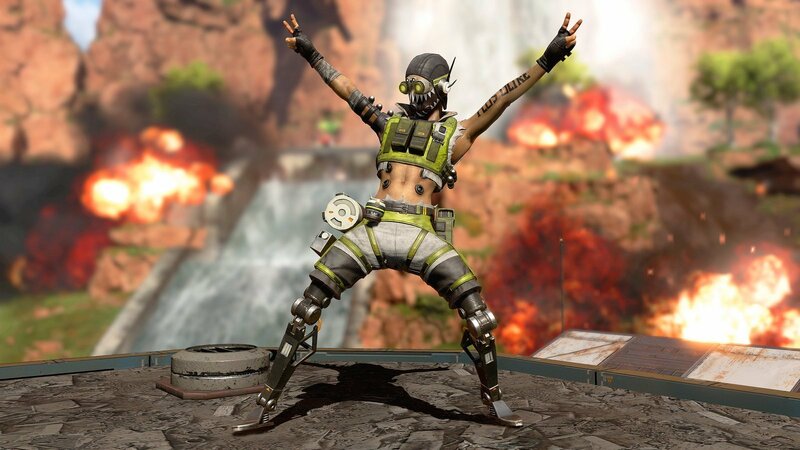 In this guide we’ll run you through how to play Octane in Apex Legends. An adrenaline junkie, Octavio ‘Octane’ Silva got his kicks by competing in daredevil stunts and races. In one competition he pushed himself a stretch too far by attempting to launch himself over the finish line with a grenade. As well as a neat nod to Titanfall 2’s fragboosting technique, it’s also the reason for his metallic legs, having convinced his pal Lifeline to forge an order for replacements. Octane has now taken his thrill seeking to a whole new level by diving into the deadly world of the Apex Games. Before we start with the tips, lets run through his abilities. Octane restores 1 health every 2 seconds whenever he isn’t taking damage. Octane injects himself with a stim that increases movement speed by 30% for 60s. Activating it costs 10% health. Weapons can be used while stimming. Stim does not speed up zipline speed. Octane throws a Launch Pad on the ground in front of him. Any players who run over it are flung into the air (roughly 2-3 stories high). Recharge begins immediately. Octane’s tool kit is all about speed, and that means he works best when firing on the move. Shotguns, SMGs and a few of the ARs are the ideal weapons of choice for Octane, who’s best in an aggressive playstyle. Those who prefer sniping would likely be better served with another Legend. Thanks to Swift Mend, Octane rarely needs to carry bandages. These take a long time to deploy, during which he’ll be healing a good chunk anyway. 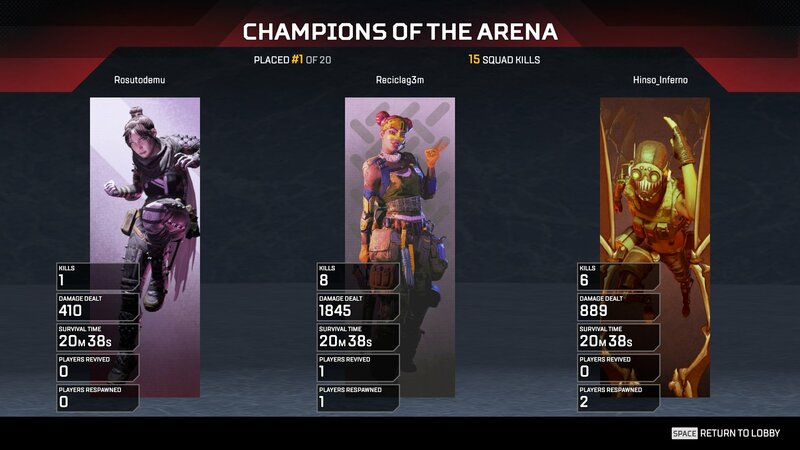 It’s still worth grabbing medkits for those large heals, but mostly you should offer up bandages to the rest of your team. Octane’s Tactical Ability, Stim, is easily his most powerful and versatile power. Movement speed wins fights in Apex, letting you drain an enemy’s magazine while you dodge, then return fire while they’re reloading. Octane is also brilliant at rushing down revive and heal attempts, able to cover ground like few other Legends can. Think you’re in trouble? Stim and dodge left and right as you run to make yourself tough to hit. Stim can also be used to increase movement speed while healing, so activate it right before using a shield cell to recover while still moving. This works especially when if you activate the heal after sliding into a jump. Outside of combat, Stim also makes Octane one of the most efficient early game looters. Hit the boost as soon as you land and, provided you’re quick and snatching items from the floor, you’ll be able to reach valuable loot and collect more overall than anyone else nearby. Make sure you keep track of your team though as it’s easy to separate yourself from them with overuse of Stim. Don't worry, you can't kill yourself with Stims, but you should try to avoid reducing your health too low in case you hit an unexpected fight. Another fast charging traversal ult in the vein of Pathfinder and Wraith’s, Launch Pad offers the fastest offensive utility of the bunch. Launch Pad excels around buildings, where you can leap over or onto them during fights for a positional advantage. If an enemy squad is inside a house, or has the high ground, boost yourself above them to turn the tables.If you need to run away, you can either launch yourself or place the pad round corners or behind doors to launch enemies who follow. Once you’re more comfortable with Octane, Stim will become your go to ability in almost all scenarios. In almost every fight you’ll want to hit stim to give yourself the mobility edge. Because it only drains your health, you’ll keep your primary defense of shields intact. Use Stim as soon as you think your opponent is ducking back to heal or revive. You’ll be able to close the distance in no time and overwhelm them. Just make sure to watch your health and avoid leaving your team behind. Swift Mend is effectively Octane’s counter to his own Stim ability, healing him over time to let him use his speed boost once again. However, it also makes him one of the most effective characters for risky plays outside the zone. Not only can he give himself a speed boost to reach safety, he’ll automatically begin healing himself once he gets back inside. There are plenty of possibilities for tricksy plays when it comes to Launch Pad, but the best have to be when combined with Wraith’s portals. If you’re being chased, slap a Launch Pad down at the portal exit and anyone who follows you through will be sent flying. For a more evil twist, set this up next to the edge of the map to send someone soaring to their death. Launch Pad is also quiet for an Ultimate and can be used to catch enemies off guard. If you and enemy squad are separated by a wall of cover, throw down a Launch Pad and leap over it while gunfire covers the sound. You’ll land behind the enemy squad to pincer them while your team pushes. Aiming while in the air is tough, but it makes for a great chance to throw some grenades before you land. 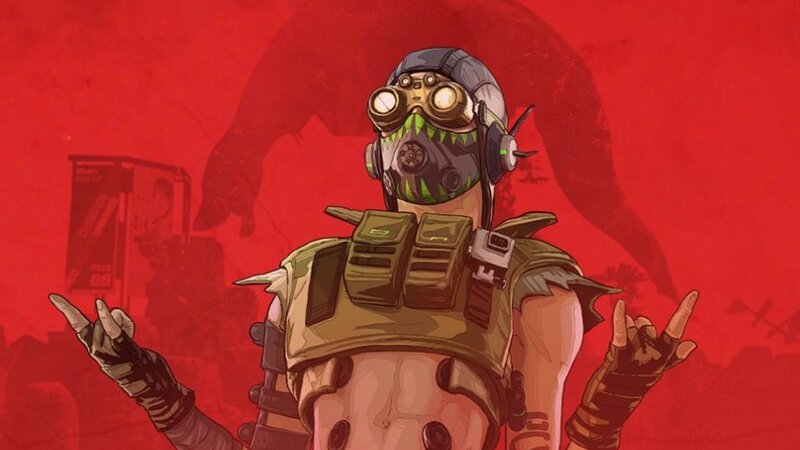 Now that you know how to play Octane in Apex Legends, you might want to look at our other character guides. We’ve got the tips and tricks needed to get ahead with Lifeline, Gibraltar, Bangalore, Pathfinder, Wraith and Bloodhound. 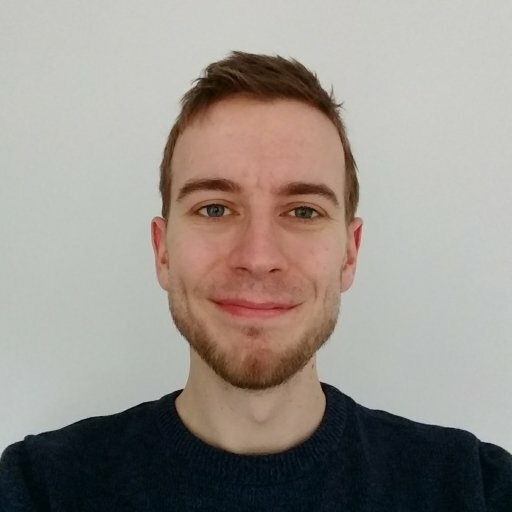 If you have any Octane tips to share yourself, post them in the comments below!